This study aims to explain the implementation of the family’s religious functions in instilling the Islamic values to the children. The study was conducted in February - June 2018. The research method employed was the descriptive qualitative method. The data were collected using in-depth interviews and observations. The collected data were analyzed using the qualitative data analysis methods. The research subjects were 30 families whose parents had children aged 7-12 years and residing in the South Tangerang area. The research subjects were chosen using the purposive sampling procedures. The findings showed that 67.29% of the families had carried out their religious functions in instilling the Islamic values including the aspects of reading the stories of the prophets which done by the 60% of families, telling the family of the Messenger of Allah and the story of the Prophet’s companions which done by the 67% of families, teaching the names of the angels and their duties, and introducing the names of the scriptures which done by the 53% of the families, and the rest 32.71% of the family had not embedded the Islamic values in those aspects yet. Instilling the Islamic values as parts of the implementation of the family’s religious function was carried out in various ways according to the values which were implemented. Thus, the suggestion given is that parents as the implementers of the family’s religious functions have to learn continuously to improve their knowledge as well as to provide the sufficient time to instill the Islamic values in those aspects to their children. Al Qur’anul Karim. Assobar Qur’an. Jakarta Timur: Pustaka Al-Mubin. Andayani & Koentjoro. (2004). Psikologi keluarga: Peran ayah menuju coparenting. Yogyakarta: Citra Media. Badan Pusat Statistik. (2017). Jumlah tenaga kerja perempuan di Indonesia. Diakses dari http://independen.id/read/data/429/jumlah-tenagakerja-perempuan-di-indonesia/ pada tanggal 18 September 2017. Djamas, Nurhayati, Rohita, Fitria, & Nila. (2017). Perilaku islami remaja. Prosiding Epistemologi Islam dalam Perspektif Teori Ilmu Pengetahuan Modern. PII-MKU: November. Musrin, M. (2004). 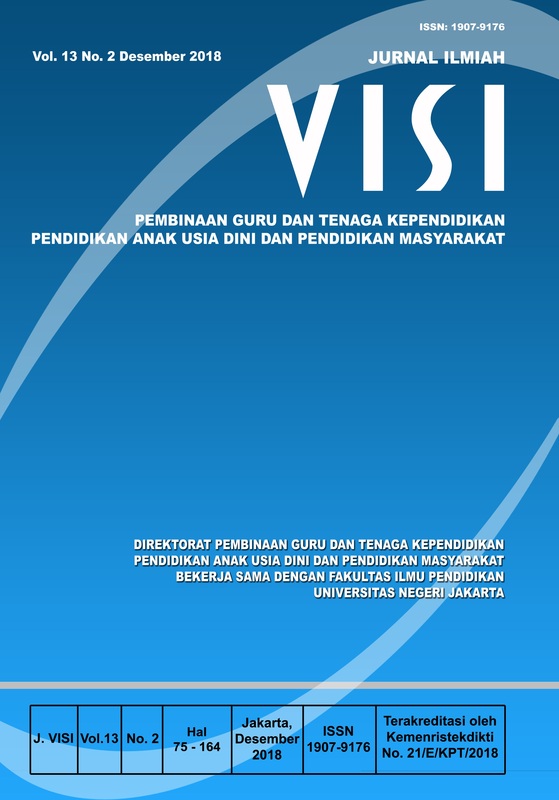 Sistem nilai dan pandangan hidup serta relasinya dengan ilmu pengetahuan. Jakarta: Wardah. Peraturan Pemerintah Republik Indonesia Nomor 21 Tahun 1994 tentang Penyelenggaraan Pembangunan Keluarga Sejahtera. Toha, C., dkk. (2004). Metodologi pengajaran agama. Yogyakarta: Pustaka Pelajar. Rozalinda. (2014). Ekonomi islam,teori dan aplikasinya pada aktivitas ekonomi. Jakarta: Raja Grafindo Persada. ‘Ulwan, A.N. (2012). Pendidikan anak dalam Islam. Solo: Penerbit Insan Kamil.